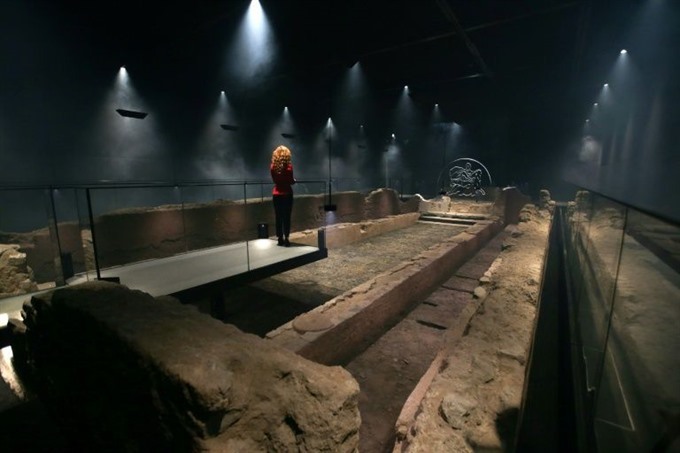 LONDON — A Roman temple has been restored to its original site seven metres below the City of London, using sound, lights and misty haze to bring the ruin back to life. "London is a Roman city, yet there are few traces of its distant past that people can experience first-hand," said Sophie Jackson, the project’s lead archaeological consultant. It also unearthed a wooden tablet from January 8, 57 AD – the earliest dated handwritten document from Britain.